I read with extreme curiosity, a recent press release released by the main opposition Sierra Leone Peoples Party, about the performance of President Ernest Bai Koroma and his government in the last six years. The assessment looked at government’s performance in the promotion of good governance, infrastructural development, human development and the economy. In one simple description, I would say the assessment is not only a true display of illogical presentation of national affairs, but also a true representation of unrealistic efforts by the opposition in its usual bid to achieve a level political prominence, in a country it has been absolutely rejected for almost a decade now by the citizenry. This still takes into account the quagmire the opposition SLPP faces, since their 2007 political fall that eventually saw the rise to fame and governance of President Ernest Bai Koroma. President Koroma came to power at a time the country was in a state of neglect and in need of leadership. To suggest that the last six years of governance by President Koroma have been “wasted years” falls short of any display of maxim of ‘country first’ – but a pointer to the belief that: ‘either we are in power or country is doomed’. The role of an opposition is to checkmate the workings of a government in a democracy. However, this does not only limit such a function into serving as an attack weapon, but rather, an effective, functional and an ‘up and running’ opposition that is morally obliged to be realistic with the facts, commend where it should and proffers suggestions on ways of improving where it deems challenges exist. 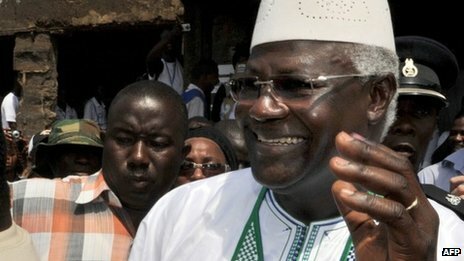 Despite the challenge of still trying to know that people really voted for the Koroma led administration because they needed a change, and were in dire need of progress, which was deprived them for over a decade, the opposition also tends to be feeding on pouring out their unending anger and disappointment over their defeat on the very people they would want to govern someday. This is ironic, to say the least. Challenges exist but progress keeps coming. But for anyone to suggest the country is static from the perspective of socioeconomic development, implies that the proponent of such an erroneous and deceptive view is also as static as the word itself. There is nothing more misplaced, in terms of assessing the country’s progress than suggesting, the last six years rule by President Koroma have been “…marked by unprecedented waste, weak governance structure, high youth unemployment, growing lawlessness, deteriorating infrastructure, poor social services, rampant corruption and growing hardship”. In the last six years or so, I would say there has been a preponderance of lies, deceit and misleading analyses by a certain few about Sierra Leone, all in a bid to undermine the workings of a government, elected on a popular ballot. The 4,540 long press release took the usual trend of rhetorics by a government that never was, since 2007. The usual “we sourced”, “we negotiated” etc., keep ringing the hearts, ears and minds of Sierra Leoneans. But why take decades to source funding and woefully failed to implement, should be the begging question, amongst many. And this rhetoric should stop. The Koroma administration is not a government of “sourcing”, or “intentions” but one of delivery based on what is promised. Let us look at infrastructure. When President Koroma assumed office in 2007, the country’s infrastructure was in a state of collapse with no sense of urgency in relation to maintenance, rehabilitation or construction of roads. 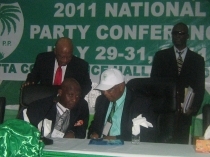 Ernest Koroma came and took infrastructure as a major component of national development. The Agenda for Change was very explicit in terms of plans for infrastructure. More funds were invested in infrastructure, with the country rolling-out the largest road construction programme ever in the history of the country. Since then to date, we have witnessed an improvement in the country’s road Network, with cities, towns and villages linked. Six months in office, government commenced work on two major trunk roads: the Makeni – Matotoka Highway (35 Km) and the Bo-Kenema Highway (65Km). By 2010, government launched the reconstruction work on the Kenema – Pendembu Highway (86Km) with replacement and construction of 8 bridges. 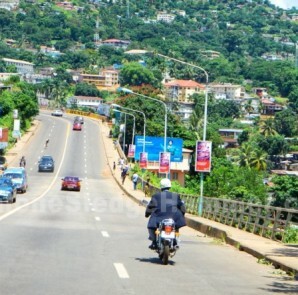 The country witnessed reconstruction work on the Masiaka – Bo Highway (164 Km), by 2010, reconstruction work commenced on the Lungi – Port Loko Road (62Km) and 30 Km of feeder roads in the Lungi township – with funding from the Government of Sierra Leone and World Bank. Under the Koroma presidency, we saw the construction of the Freetown-Conakry Highway (86Km), consisting of the Rogbere – Pamlap road (78km); Pamlap – Faremoryah road (8km) was reconstructed with a new common border post between Sierra Leone and Guinea, at Pamlap. Between 2008 and 2011, a total of 1205 (Km) of feeder roads throughout the country were upgraded, a joint European Union and Sierra Leone Government funding rehabilitated a total of 650Km in Kambia, Kenema, Port Loko and Pujehun districts. By March 2010, rehabilitation works commenced on a total of 89Km of some selected major roads in district headquarter towns including Bo, Kenema, Makeni Magburaka, Port Loko, Kambia and Lunsar. In the Western Area, Government undertook the rehabilitation work involving the reconstruction of an aggregate length of 26km pavement and drainage structure of streets in the West, Central and East of Freetown. The Koroma presidency sourced and increased funding from US $27.75M to US$38M in July 2009 for a four lane road – from Lumley Police Station to Hamilton Junction. His Government undertook the widening of the Lumley-Hill Cot Junction route (3.4Km). Wilkinson Road (5.2Km), has been widened up to Lumley Police Station. On good governance, we have always adhered to democratic credentials. The country continues to witness a level playing field for the practice of multiparty democracy. The country enjoys sound human right records, with our Human Right Commission receiving applauds for its stance on issues of human right, good governance and the rule of law. The fight against corruption is paramount to the sustenance of democracy and the promotion of democratic credentials. And because of this fact, the country, under the leadership of President Koroma continues to give more attention in addressing corruption related challenges. We today have one of the toughest anti corruption laws in the country, by ensuring an independent Anti Corruption Commission. Before now, we never heard of asset declaration, but the lead was taken by the President himself. Truly so, with more efforts put by government to tackle this governance challenge (corruption), the more it presents challenges for the country. That people are charged to court now and billions of Leones having been discovered for government through the commission is a commendable achievement, which was lacking under the former government. We have ensured the enactment of a law guaranteeing access to public held information, as a result of the political will shown by the presidency. This is not to suggest there are no challenges. But the fact remains; the country is making outstanding progress following eleven years of failed leadership by the then government. In six years, did we also not make progress in fixing the country’s electricity gap that was left behind by a government that introduced a system of ‘class and status’ when it comes to energy generation and distribution? Did the Koroma presidency not increase the national electricity generation capacity to over 90MW? In addition to the completion of Phase I of the Bumbuna Project, has the country not also commenced preparations for Phase II; anticipated to involve constructing another Dam to expand the generating capacity to 400MW? In the last six years did the country not see work on the construction of Mini-hydro projects at Bankasoka (2MW), Charlotte (3MW) and Makalie (170Kw)? Was it not in 2010, that government installed a 10MW thermal plant at Kingtom and in 2011, a 16.5MW plant at Blackhall Road to augment the energy supply to Freetown? In the health sector, coupled with other successes the country scored in the last six years, the government launched the Free Health Care Initiative for pregnant women, lactating mothers and children under five in April of 2010. The result is a gigantic increase in the use of health services and improved health care access across the country. Economic boom takes different form; the existence of several mining activities in the country leads to economic growth. An improved infrastructure also leads to economic growth as farmers would be able to take their produce to the market unhindered when there are good roads. Granted there are challenges, but there continues to be efforts in tackling these challenges. The Agenda for Prosperity has set the platform for a transformed nation in the coming decades. From the above, and added to uncounted achievements by the Government in the business climate, in investment opportunities, and in our international relations, is it not a national disservice for the opposition to continue to present Sierra Leone as a failing state? Or is it just a continuation of their six years prevalence of lies and cheap political gimmicks? And of what benefit, if one may ask?